Wisdom of Kammbia Column 3.25: That’s Overrated! I’ve decided to reblog this post from a couple of years ago. I will list my most overrated things in society. You may agree or disagree with my list, that’s fine. But I want all readers to participate by commenting on my list (agree or disagreeing with it. 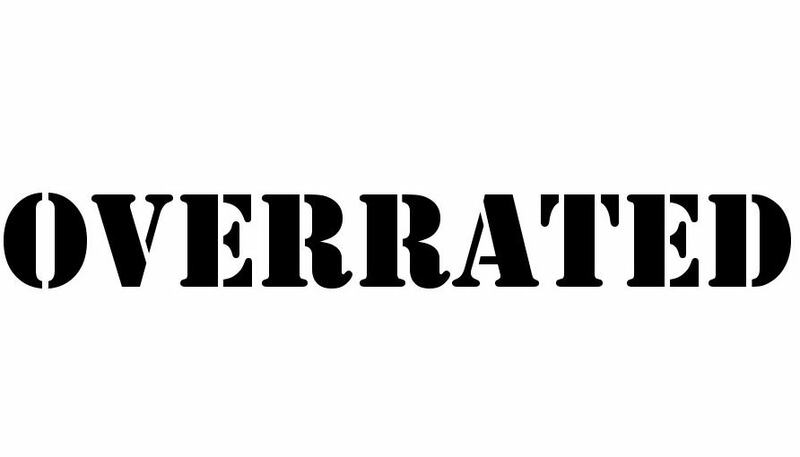 First of all, I would like to define what overrated means to me. Overrated isn’t things or experiences I either like or dislike, but they are overhyped or blown out of proportion in their significance to society or as a life’s experience. 1) Cheese on a Burger: I know most of you will disagree with this one right off the bat. However, I believe that cheese on a burger is so overrated. I want to taste the meat on my burger. How it’s cooked (either medium-well or well-done) and cheese gets in the way. I do like having toppings on my burger but they should compliment the meat not overtake it. Unfortunately, cheese does not compliment a burger. 2) Men’s Suits: I believe men’s suits are overrated. You can dress nicely in a dress shirt and a pair of slacks just as or better than wearing a suit. I believe suits on a man makes him lose his individuality and sense of style. I don’t want to dress to impress. I want to dress to be comfortable. 3) Fast Food Drive-Up Windows: I can go inside a fast food restaurant and get my food just as fast than if I went through the drive-up window. I know the drive-up window is supposed to be for convenience…but it really isn’t. 4) Automated Phone Service: Everytime I call to pay a bill or check my bank account, I end up spending more on the phone with the automated service than I do whenever I talk to an actual person. I know companies save money on labor by having an automated service, but what about human interaction? 5) Self-Help Books: Does it really take 10 Steps to become a better you? I thought that is a life-long process. Plus, do we ever really change ourselves without God? Hmm. I believe these books play on people’s fears, doubts, and insecurities and only deal with the symptoms of our behaviors but never real stuff of being human. 6) Weddings: Sorry, ladies. Weddings are overrated. From the planning, to the dressing, and the rings and everything else that goes into wedding, the actual event happens so fast and it’s gone. Yes, it can be a nice memory. However, I believe our culture focuses more on the wedding than the marriage. 7) Dallas Cowboys: Yes, Cowboys fans….America’s team!!! They are overrated. Even though they finally won a playoff game last season their first since 1996…the Cowboys are always hyped as the most talented team in football. And Cowboys fans overhype their team more than any other fan base in sports. They are good team but not a great team and get way too much publicity for so little substance. 8) Reality TV: Reality TV is not real….it is still fiction. Knowing about the personal lives of the Kardashians or Snooki from Jersey Shore or the Real Housewives of New Jersey or the Bachelor/Bachelorette finding love doesn’t give us any more of glimpse into real life than a soap opera or telenovela does. I get that people want to be entertained but don’t tell me that Reality TV is like real life. Sorry! That’s my overrated list! What’s yours?